Salt Lake City, UT – The University of Utah men’s tennis team announced today that Jamey Swiggart has committed to play for the University of Utah. Swiggart, from Steamboat Springs, Colorado, will transfer from Idaho State University where he played No. 1 singles and doubles this past year. 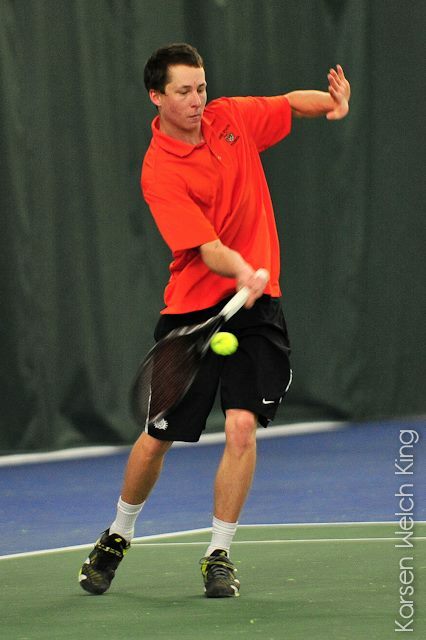 In his two years as an Idaho State Bengal, Swiggart amassed a 25-10 record in singles. His freshman year he was named ISU’s Tennis Player of the Year after earning a 16-2 record from mainly the No. 5 singles position and was a runner up for the Bengal Freshman Athlete of the Year Award. As a sophomore, playing from the No. 1 singles position, Swiggart earned a 9-8 record and was named the team’s Most Valuable Player and was honorably mentioned Big Sky All Conference. Prior to joining Idaho State, he was ranked No. 1 in Colorado and entered college as a 3-star recruit. Swiggart comes from an athletic family, as both his parents were Division I collegiate athletes. His mother Stacy was a four year letter winner on the tennis court for Oklahoma State, while his dad played basketball at Western Kentucky. This entry was posted in Recruiting News and tagged Idaho State, Jamey Swiggart, Roeland Brateanu, transfer. Bookmark the permalink.